This blog post is my rebuttal and response to the March 15, 2013 article written by Bridgette Bonner of the Marietta Daily Journal Article. It is part of a new vindictive campaign by Timothy McCormack and Plaintiff to paint me in a negative light. Normally, it would be fine except that the articles are riddled with misinterpretations and entirely incorrect facts. The Marietta Daily Journal article appears to be a “platform piece” for the Plaintiff of my PPO, not a true effort to get both sides of the story. No effort was made to contact me or Oscar Michelen, my legal representative. However, I have done myself and the MDJ the courtesy of writing a detailed rebuttal to their very unprofessional article which chose only to cover the Plaintiff’s version of the story and not the entire truth. I sent my rebuttal and response to these Marietta Daily Journal email addresses which include the publisher, general manager, and managing editor along with the writer. I am writing in response to the March 15, 2013 article entitled “Poet says she is the target of online cult leader’s cyber stalking”. I am greatly disappointed at the very low standard of journalism you used in writing this story. I do not object to your covering the story since Plaintiff is a local author and poet. While somewhat unpleasant, I also do not object that you would cover the Permanent Protective Order (PPO) against me. It is a perfectly valid news story to your audience. What I object to is the entire lack of effort to contact me or my legal representative, Oscar Michelen for my/our side of the story or verification of facts to Plaintff’s statements. Our email addresses and phone numbers are easy to find. I see no evidence that you even attempted to contact either one of us to verify the accuracy of any of Plaintiff’s distorted statements. You write that I “reportedly run an organization that believes published works should be free to the public online.” Did you ask Plaintiff which website she was referring to? Did you visit my website? ELI is not an organization. 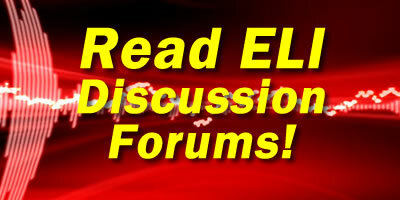 ELI is simply a website with visitors and readers throughout the world which we informally call the ELI Community. Nowhere does my website say that we believe or subscribe to the notion that “published works should be free to the public online”. We discuss copyright issues, copyright infringement, copyright registrations, etc. On a side note, did you Google my name to look up my bio? You could have easily found my email address and phone number. You could have read about my professional and personal background. These are not difficult things to find. It is an outrageous statement considering that I earn income from published works. Do you know that I am a published author myself and sell my works on Amazon? Do you know that I have more published titles for sale than Plaintiff? Do you know that I am independent publisher and author who publishes in traditional book format, audiobook format, Kindle Format, and Nook format? Regarding the remark where I supposedly call myself a cult leader, have you studied what a true cult does? No true cult or cult leader EVER refers to themselves as a cult or cult leader. They refer themselves in very grandiose, majestic, and spiritual leader terms, not the self-deprecating, self-mocking term as I did with ELI Cult Leader on an online photo avatar of me. Even the most casual visitors of our discussion forum recognize this as being a self-deprecating, self-mocking title not meant to be taken at face value. Regarding the matter of my supposedly posting photos of her home on my website and her home address, we have screenshots that show I did not post her photo or her home address. It was another forum user that posted her home photo, not me. That home photo came from Google Street View. No one went to Plaintiff’s home to take that photo. Google Street View, for better or worse, captures photos of nearly everyone’s homes in the U.S. Regarding her home address, I also did not initially post it. Her home address is easily found on Google. Somehow, it’s ok for that information to be on Google but that same information on my website is somehow inappropriate. It seems very few people understand Section 230 of the Communications Decency Act that gives immunity to web and forum hosts against liability from their forum users posts. Regarding the video where I allegedly screamed at her, she is referring to a short 2-minute rant from a 30-minute hosted episode of the “ELI Video Updates/The ELI Factor” show. This was not some short video that was emailed or directed at Plaintiff. It was an open rant on my video show not unlike those done by Rush Limbaugh, Glenn Beck, and many other amateur YouTube broadcasters. Regarding the so-called photo with a firing-line graphic, I have no knowledge of this graphic. It may exist and if it does, it was posted by another forum user, not me. I certainly didn’t sanction it or endorse it. I don’t even read every post that is made to the forums because there are so many. Regarding the claim Plaintiff stated that the paper I was holding “shook so much it was like there was a ceiling fan”. I recall no such incident but if my hand was shaking as much as she says, it had to do with my being a non-attorney with no administrative assistant facing off against an experienced attorney from a reputable law firm in front of a respected judge, not because I was in fear of Plaintiff. I think any non-attorney with no assistance facing off against a formidable legal adversary such as a well-established attorney in front of a respected judge would be nervous and shaking too. She is the one who is allegedly in fear of me personally, not the other way around. In conclusion, I have no problems with Plaintiff gloating over her legal victory. However, I am informing you that I am seriously looking to an appeal to overturn the PPO. I must respectfully request that you (at the very least) make the appropriate corrections to your article unless you simply want the MDJ to be a personal platform for Plaintiff vs. trying to get the fuller, true story. We are looking forward to obtaining a copy of the court transcript, exhibits, and minutes in the near future so that the fuller story can be told. If you wish to contact me or my legal representative, Oscar Michelen, we would welcome the opportunity to speak with you and tell you our side of this story.